Model 97A Automatic Cut and Strip Machine The Model 97 Compu-Strip® is a fully programmable bench top Measure, Cut & Strip Machine utilizing High Torque Stepper Motors, Belt Feed Material Transport and a Precision Ball Screw Blade Mechanism.This Powerful Compact Machine easily processes Stranded Wire from 8 to 32 AWG, Flat Cable up to .520″ in width, and Multi-Conductor Cable up to .312″. Model 58B Wire Prefeed & Dereeler The Model 58B is a Floor Model PreFeed/Dereeler designed to assist in the dereeling of material before entering a Wire Processing Machine. This unit eliminates the strain of pulling material from a Heavy Weight Spool which helps optimize the accuracy of your Wire Processing Equipment. 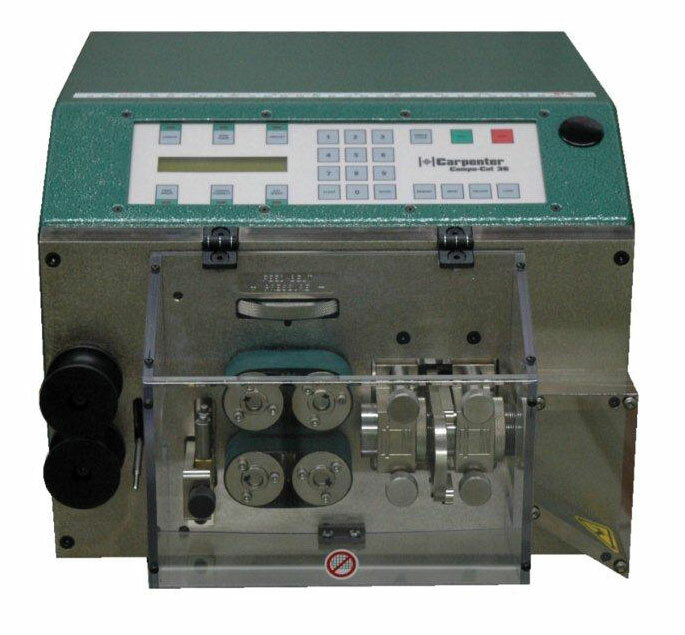 The Model 58B is designed to assist in the dereeling of material before entering a Bench Top Wire Processing Machine. With it’s powerful Belt Feed Wire Transport the Model 58B eliminates the strain of pulling material from heavy spools, thus improving the accuracy of your Wire Processing Equipment. 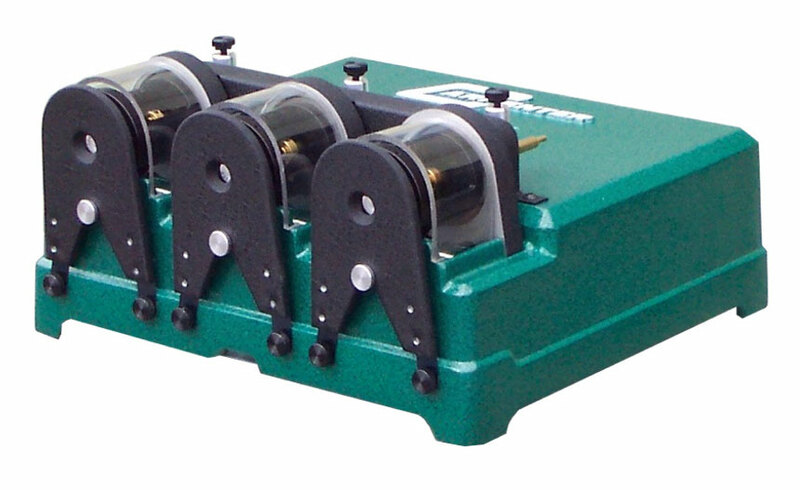 This unit comes standard with a Accumulator Weight Kit to aid in the delivery of large diameter or solid core cables. Each unit has a durable Powder Coat Finish and 1 Year Limited Warranty. Please Note that the Model 58B is not designed to be used in conjunction with Wire Processors that Measure, Cut, Strip and Terminate in One Operation. If you have any questions please contact the Factory regarding your application. 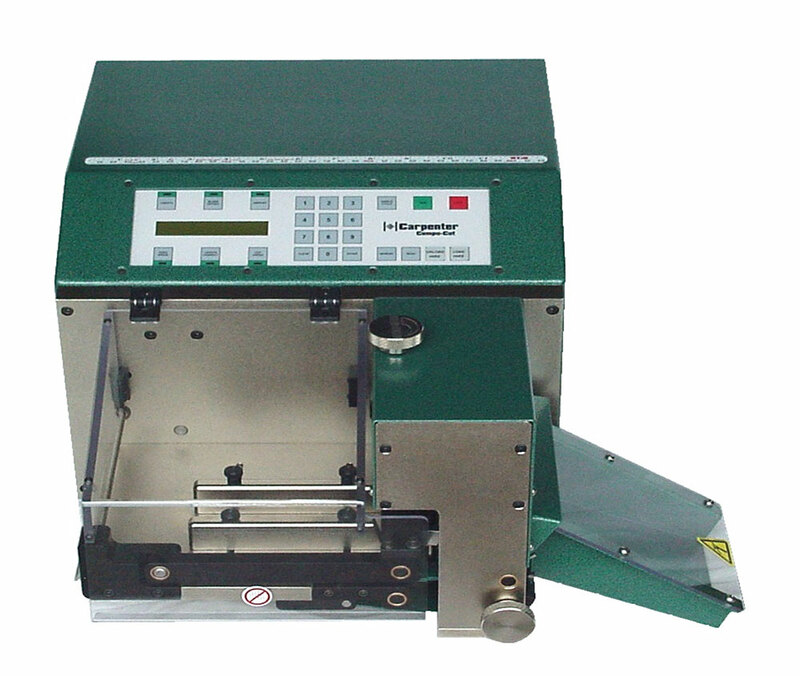 The Model 93 Compu-Strip offers excellent affordability in an all electric bench top Measure, Cut & Strip machine. 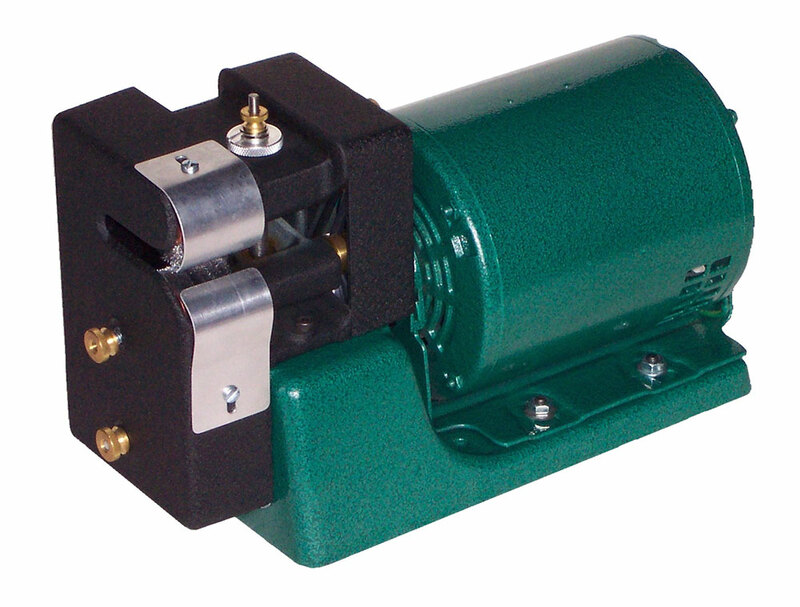 This unit incorporates the use of High Torque Stepper Motors, a Precision Ball Screw Blade Mechanism, and User Friendly Electronic Control. With Heavy Duty construction the Model 93 can process a broad range of material from 12-32 AWG Stranded & Solid Copper Wire and Multi-Conductor Cables up to .275" OD. The machine is equipped with a positive heavy duty Feed Roller Material Transport, and comes Standard with Urethane Feed Rollers and Precision HSS Coated V-Blades. Each Model 93 comes complete with all (7) Wire Guide Tubes, Exit Guides, and a Single Plane Wire Straightener with Bracket. As with all Carpenter Equipment this unit has a durable Powder Coat Finish and a 1 Year Limited Warranty. 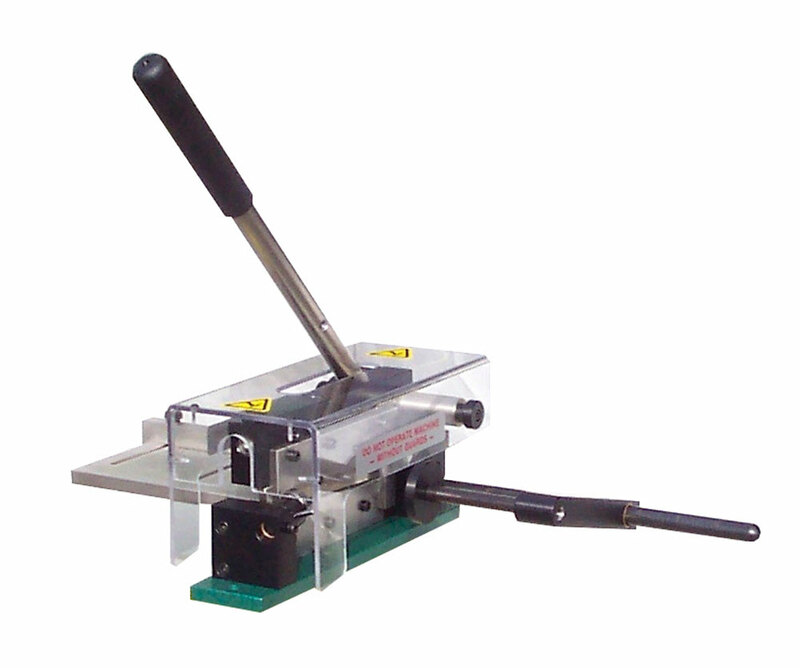 The Compu-Strip® 97A is a fully programmable bench top Measure, Cut & Strip Machine utilizing High Torque Stepper Motors, Belt Feed Material Transport and a Precision Ball Screw Blade Mechanism.This powerful yet compact machine easily processes stranded wire from 8 to 32 AWG and multi-conductor cable up to .312 OD. With user friendly Menu Driven Software and Digital Feed Belt Positioning setup is fast and simple, requiring no tools. Every Model 97A comes Standard with a complete set of (8) Wire Guide Tubes and Exit Guides, Single Plane Wire Straightener, durable Powder Coat Finish and 1 Year Limited Warranty. 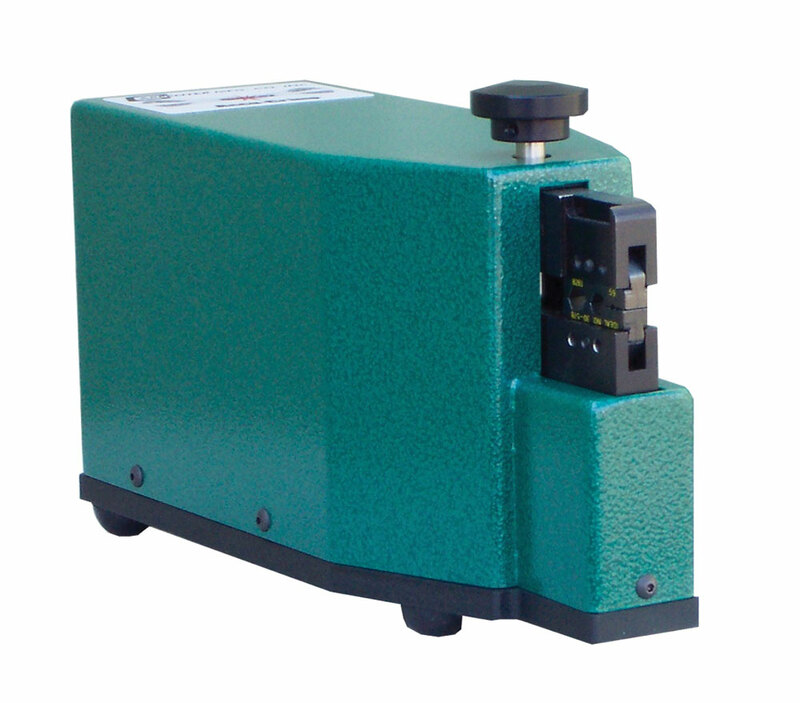 The Model 72D is a Heavy Duty machine designed to strip larger cables with thick or thin insulations. Single Conductor, Multi-Conductor and Coaxial type cables can all be processed with this unit. 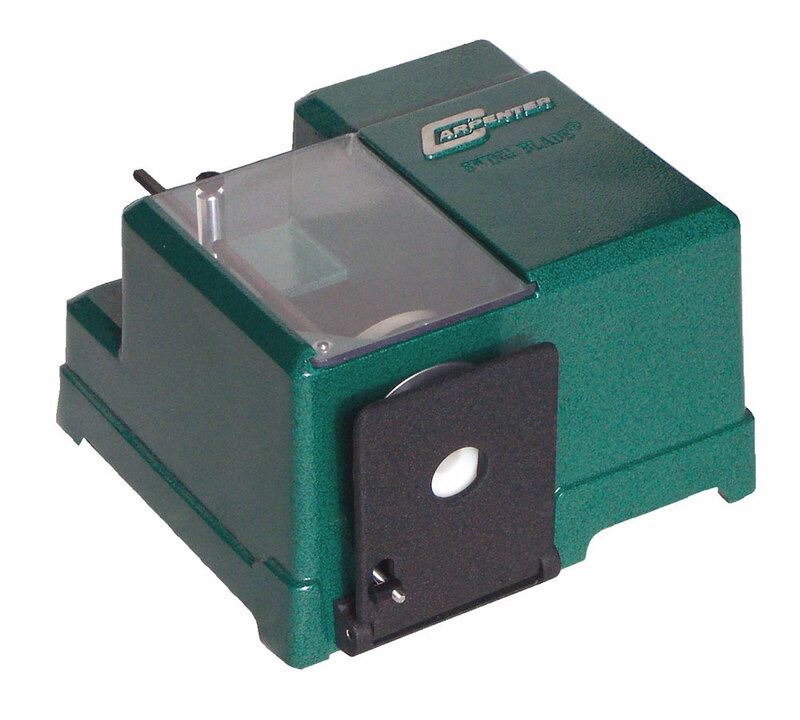 The Rotary Blade action of the Model 72D provides a Clean, Square Strip. Change-over from one cable to another is fast and easy, simply change the Wire Guide and adjust the Blade Depth and Strip Stop. This Heavy Duty Machine comes Standard with (1) P/N 2845 Wire Guide, durable Powder Coat Finish and 1 Year Limited Warranty. The Model 74F is a versatile triple head Rotary Wire Stripper designed to perform a multitude of different wire stripping tasks. This unit can strip three different size Hookup Wires, Small Multi-Conductor Cable, and process a three stage strip on Coax. The machine can be configured with either Single or Twin Blade Face Plates depending on your specific application. Change-over from one wire to another is quick and easy, simply adjust the Blade Depth, Strip Length and Interchangeable Wire Guide. The Model 74F comes Standard with a durable Powder Coat Finish, 1 Year Limited Warranty and your choice of (3) Face Plates and (3) Wire Guides. The Model 70D Single Swing Blade Rotary Wire Stripper comes equipped with a P/N 1877 Single Blade Face Plate designed for end stripping a wide range of extruded insulation types. The machine’s rotary blade action provides a clean square strip that leaves the inner conductor strands neatly twisted. With adjustable blade depth, strip length and interchangeable wire guides, changeover from one wire to another is quick and simple. The production rate for most wire types is limited only by the speed at which the wire is fed and withdrawn from the machine. The Model 70D Single Blade Rotary Wire Stripper is a production machine that offers optimum efficiency when fully automated equipment is not warranted. This machine comes Standard with a durable Powder Coat Finish, 1 Year Limited Warranty, (1) P/N 1877 Single Blade Face Plate and (1) P/N 1700 Wire Guide of your choice. OperationThe wire is fed into the machine through the wire guide bushing until it contacts the adjustable strip length stop. During this action the wire pushes on the back side of the spring loaded carbide stripping blade, swinging it open. As the wire is drawn out of the machine the carbide stripping blade returns to it’s closed position, cutting the wire insulation to a controlled depth at the desired preset strip length. Application noteFor wires with very thin wall insulation, shielding or non-rigid construction. Please refer to the Model 70D Twin Swing Blade Rotary Wire Stripper, as this model may be better suited for your application. 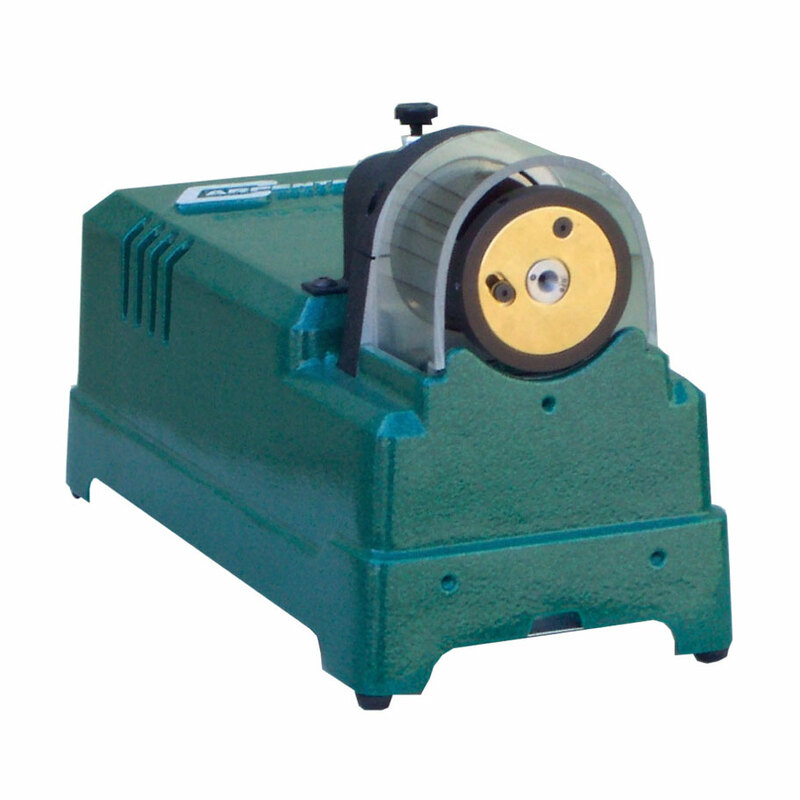 The Model 70D Twin Swing Blade Rotary Wire Stripper comes equipped with a P/N/ 2500 Twin Blade Face Plate, which is designed to strip difficult insulation such as Thin Walled, Shielded, Coax, Teflon, Kynar etc. The Machine’s rotary twin blade action provides a clean square strip that leaves the inner conductor strands neatly twisted. With adjustable Blade Depth, Strip Length and inter changeable Wire Guides the Model 70D Twin Blade is quick and simple to set up. This machine offers an efficient and affordable solution for processing hard to strip insulation. Every unit comes Standard with a durable Powder Coat Finish, 1 Year Limited Warrant, (1) P/N 2500 Twin Blade Face Plate and (1) P/N 2021 Wire Guide of your choice. When the Black Push Plate mounted on the front of the machine is depressed the wire guide bushing moves forward making contact with the back of the stripping blades, swinging the stripping blades to the open position. 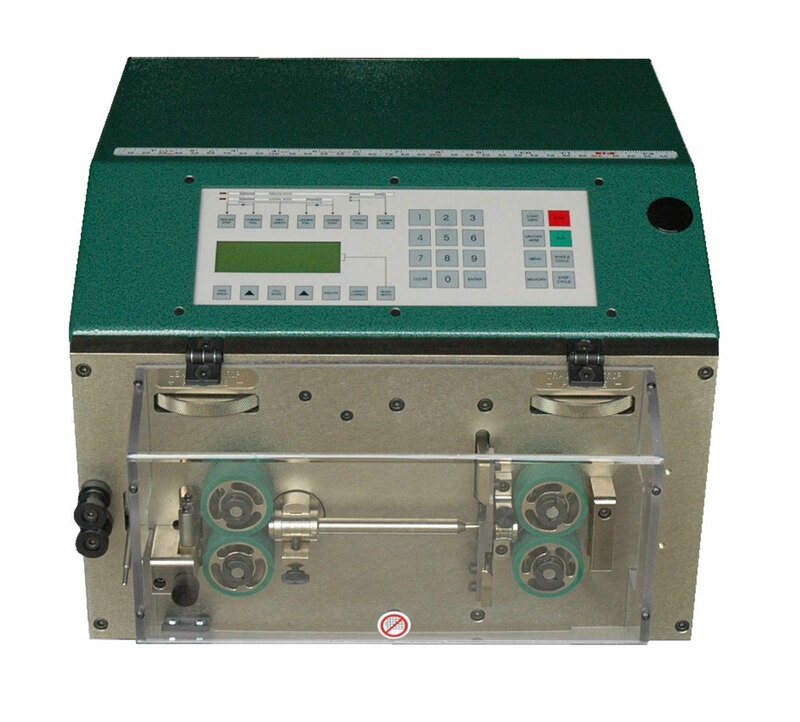 The wire can now be freely inserted into the machine until it contacts the strip length stop. The Black Push Plate is then slowly released letting the stripping blades swing to the closed position. At this time the wire insulation is cut to a predetermined depth, and is ready to be withdrawn from the machine. When the wire is removed from the machine the unwanted insulation is stripped off to the desired preset strip length. Carpenter's new Model 78 Pneumatic Wire Stripper provides a Fast and Accurate way to strip a broad range of Wires and Cables. This compact unit features calibrated adjustments for Wire Diameter, Strip Length and Pull Length, making operation and change-over Simple and Fast. Using the flexibility of our unique Stripping Blades the Model 78 can easily strip Hookup Wire ranging from 10 to 30 AWG and Multi-Conductor Cables up to .250" OD. The Model 78 comes standard with a durable Powder Coat Finish and 1 Year Limited Warranty. The Model 77E Pneumatic Cable Stripper can easily strip difficult extruded type insulations such as those found on High Voltage, Welding, Multi-Conductor and Battery Cables. 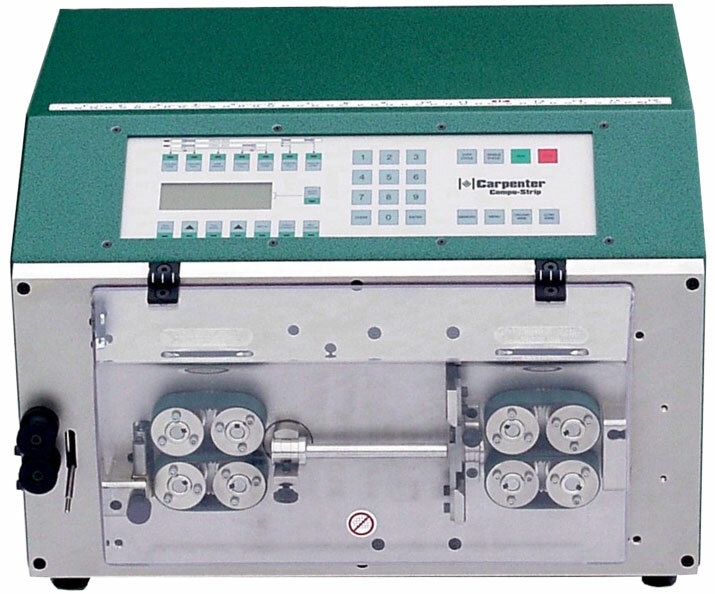 This unit utilizes a Scale Style Strip Length adjustment, plus a Micrometer Control for Blade Depth Settings. The cable being processed is held on center with the stripping blades by means of the Model 77E's unique self-centering cable clamp and inter-changeable wire guide, insuring clean and accurate stripping results. This powerful Pneumatic bench top cable stripper can be equipped with either adjustable V-Blades or cable sized Form Blades, depending on the application. The Model 77E is also equipped with a Safety Interlock Guard Switch and is Foot Pedal Activated, which allows for either right or left hand operation. Every machine comes Standard with a durable Powder Coat Finish, 1 Year Limited Warranty, (1) P/N 7630 Wire Guide and your choice of either "V" or Form Blades. The Model 14B is a Heavy Duty Wheel Stripper designed to strip Film Type Insulation from large gauge Round and Rectangular Wire. This unit can be equiped with three different type of stripping wheels: SureStrip Fiberglass for a smooth stripped surface, Wire Brush for aggressive insulation removal, and a special Nylon Brush used to efficiently comb out coaxial shielding. Each machine comes standard with (1) pair of Stripping Wheels, a durable Powder Coat Finish, and 1 Year Limited Warranty. Machine dimentions: 13.31" W x 5.75" D x 8.0" H.
The Model 27G is designed to strip Magnet Wire, Coils and Resistor Leads to within .015”/.38mm (depending on insert style) of the component body. The rotating slotted Stripping Insert removes the Film Insulation leaving a clean strip with a square shoulder. Strip lengths with the Stop Rod installed are up to .625" (16mm), or with the Stop Rod removed up to 1.87" (48mm) material dependent. Our unique Stripping Inserts are easily changed for various wire gauges and are available in Bullet Type Hardened Steel, Standard Type Hardened Steel and Carbide Tipped. 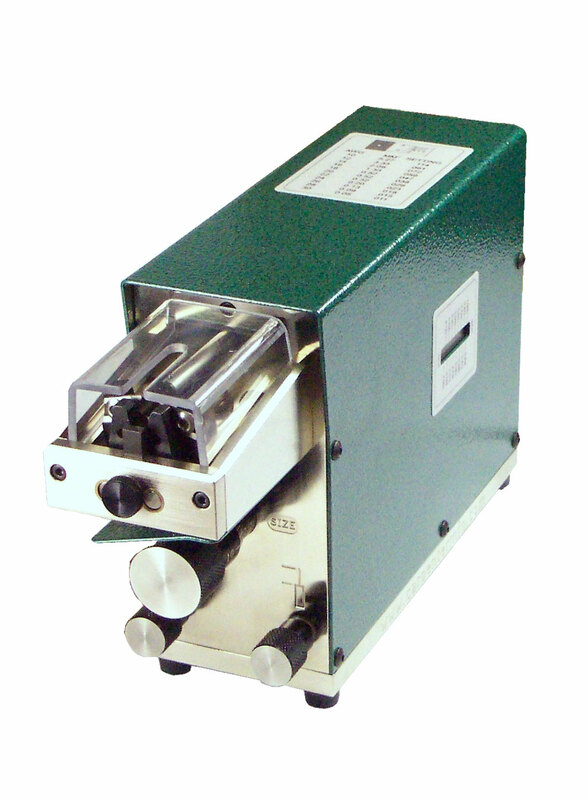 With the Optional P/N 1939D Flexible Shaft Assembly the Model 27G can be converted from a bench top machine to a more portable unit able to process leads on Heavy Coils. The Model 27G comes Standard with a durable Powder Coat Finish and 1 Year Limited Warranty. The New Model 29 Portable Magnet Wire Stripper is designed to Strip Magnet Wire, Coil and Resistor Leads to within .015”/.38mm (depending on insert style) of the component body. The rotating slotted Stripping Insert removes the Film Insulation leaving a Clean Square Shoulder. Strip lengths with the Stop Rod installed are up to .625" (16mm), or with the Stop Rod removed up to 1.87" (48mm) material dependent. Our unique Stripping Inserts are easily changed for various wire gauges and are available in Bullet Type Hardened Steel, Standard Type Hardened Steel and Carbide Tipped. The New Model 29's portability makes it the perfect machine when stripping the leads on Heavy Coils. The Model 29 comes standard with a 90 Day Limited Warranty. 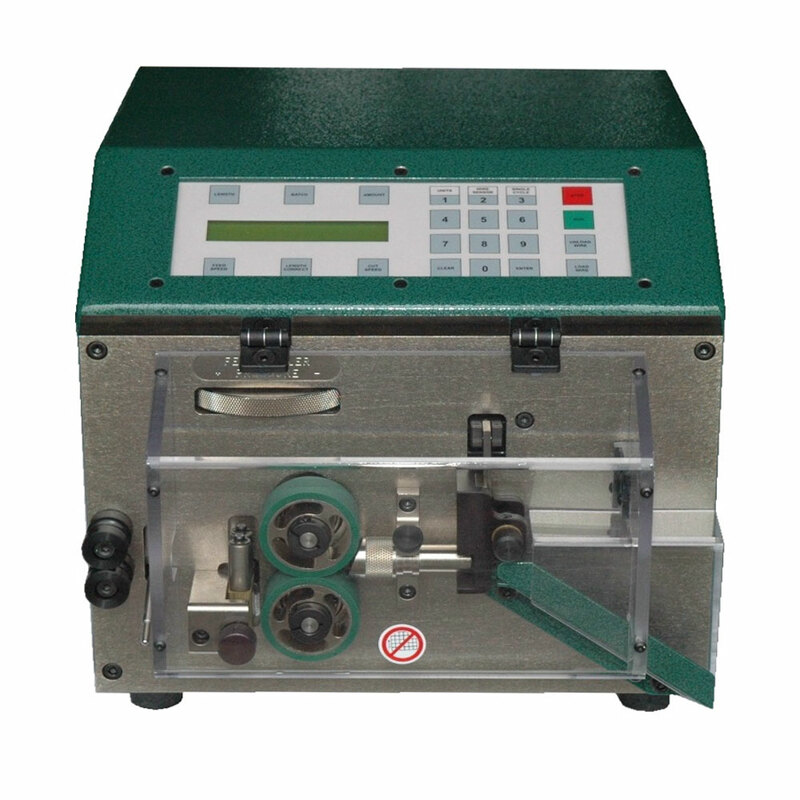 The Model 88G is designed to efficiently strip miniature coils and fine magnet wire by the use of rotating cone shaped stripping wheels. Our unique Twincone® wheel design makes close stripping possible on all types of film insulations. Strips to within 1/8” of a component's body are possible. Our Twincone® Stripping Wheels may be cleaned with a Wheel Dresser, plus raised for maximum Wheel life. Every machine comes Standard with (1) pair of Twincone Wheels, durable Powder Coat Finish and 1 Year Limited Warranty. Machine dimensions: 10.12" W x 6.0" D x 5.0" H.
The New Model 31 Manual Lever Cutter is a powerful and versatile bench mount unit designed to quickly and accurately cut to length a wide range of difficult to cut materials. This unit can easily handle Round Material up to 1.250” in diameter and Flat Material up to 4.00” in width. With heavy duty construction and our unique blade design even the hardest to cut materials can be easily processed with clean accurate results. The Model 31 is equipped with a 3 position adjustable handle giving this unit great flexibility, and ease of operation. Every Model 31 comes with a durable Powder Coat Finish and 1 Year Limited Warranty. The New Model 33 Compu-Cut is an all electric bench top Measure and Cut Machine designed to deliver outstanding Performance, Quality and Affordability. This compact unit utilizes High Torque Stepper Motors for controlling both the Material Feed Rollers and Blade Mechanism. Compared to competitive machines in it's class the Model 33 drives both Material Feed Rollers ensuring accurately measured pieces. Our unique Wire Guide and Blade Design produce Clean, Square and Accurate cuts on a wide range of hard to cut materials. Every machine comes Standard with (6) Wire Guides, Wire Holder, Urethane Feed Rollers, durable Powder Coat Finish and 1 Year Limited Warranty. Outstanding Quality, Performance & Repeatability! The New Model 36A Compu-Cut has been specifically designed to provide Clean, Square Cuts on a broad range of wire, cable and tubing. This machine's unique design supports the material being cut on both sides of the cutting blade ensuring Clean Square cuts. The Model 36A comes in two versions, the M36A-B which uses a Feed Belt material transport or the M36A-R which uses precision Knurled Feed Rollers. Both versions use a pneumatically operated blade mechanism that incorporates a standard utility knife cutting blade. This unit excels when processing flexible and rigid type tubings including Split Convoluted, Viton, PVC, Silicone, Rubber and many more. Our user friendly menu driven software makes the Model 36A simple to program and easy to operate. A key feature of this new machine is extremely low operating costs because the machine utilizes only (1) cut blade which is a standard utility knife blade costing only pennies! With software features that include a large Memory Storage, Inch or Millimeter operation, Batch Processing and Kitting the New Model 36A will increase your production Speed, Accuracy and Efficiency. As with every Carpenter machine the New Model 36A comes with a durable powder coat finish and a (1) year limited warranty. Outstanding Quality, Performance & Repeatability. The Newly re-designed Model 42C Compu-Cut is a Powerful High Performance Measure & Cut Machine that's designed to cut a broad range of materials. This New unit has a Pneumatic Blade Mechanism that easily slices through the toughest materials, yielding a high production rate of 8,800 4 inch pieces per hour. The Model 42C uses two 1 inch diameter Feed Rollers that are controlled by a high torque Stepper Motor ensuring excellent power and accuracy. Preventive maintenance has been virtually eliminated, plus you can change Feed Rollers and Blades in a matter of minutes, not hours! All machine functions are fully programmable via our user friendly menu driven software, making setup quick and simple. 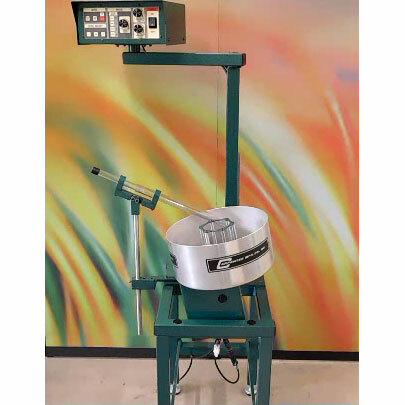 As with all Carpenter Equipment the Model 42C is a heavy duty built machine designed for large and small production jobs, from cutting Heat Shrink Tubing to large Multi-Conductor Cables. Every machine has a durable Powder Coat Finish and 1 Year Limited Warranty. 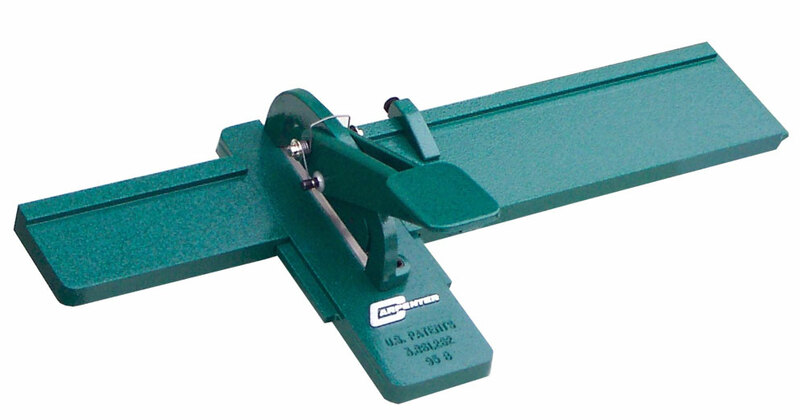 The Model 95B Manual Flat Material Cutter is a versatile bench top unit designed to accurately cut or trim a broad range of materials up to .187” in thickness and 3.50” in width. This unit features a special Self Centering Blade design that ensures clean, square cuts on Flat Cable, Wire and Tubing. Every machine comes standard with a adjustable Wire Stop, (1) 12” Guide Platform, durable Powder Coat Finish and 1 Year Limited Warranty. Accurate and Reliable Terminal Crimping. 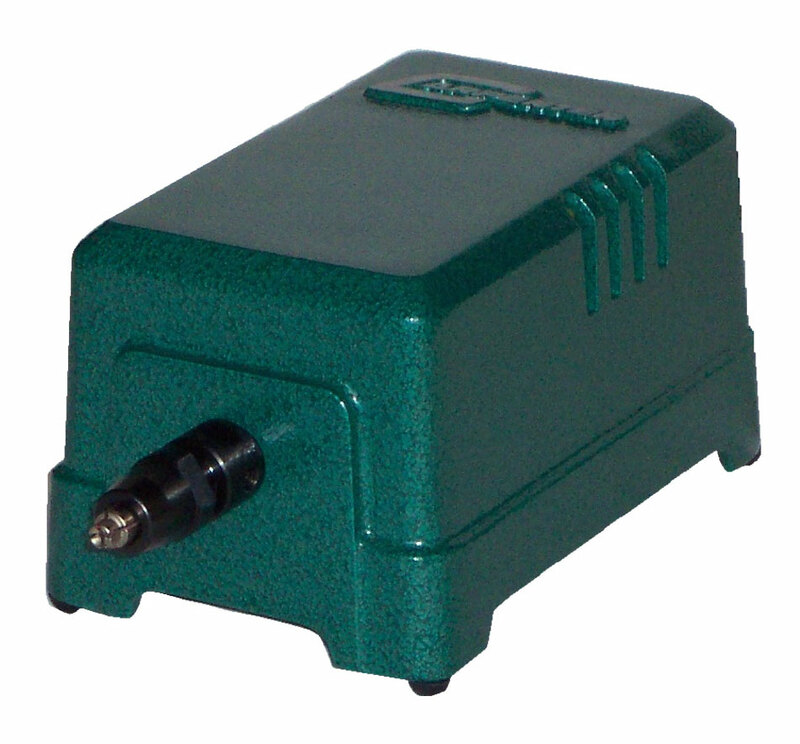 The Model 62A Accu-Crimp® is a portable bench top Pneumatic Terminal Crimper designed to crimp loose terminals onto Hookup Wire, Coaxial and Flat Modular Telecommunications Cable. 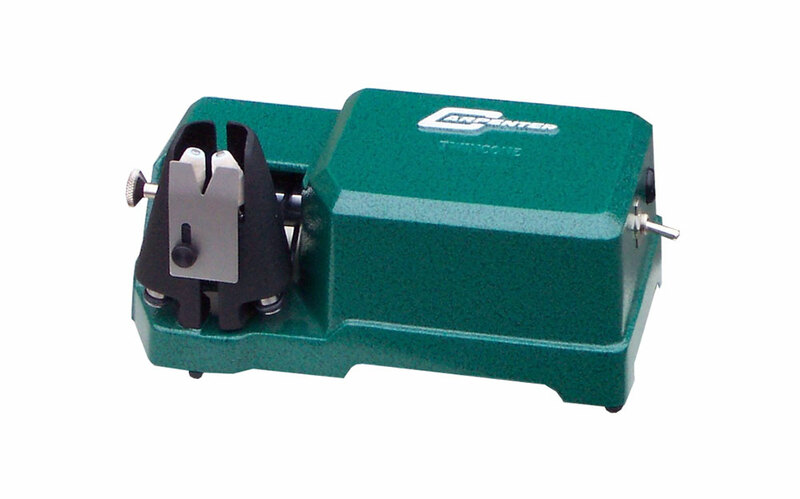 Designed to be compact and powerful, the Model 62A Accu-Crimp® delivers up to 1700 lbs. @ 100 PSI, ensuring a tight quality crimp. Due to the unit's portability and light weight (only 15 pounds) the Model 62A can easily be moved from one work station to another offering excellent flexibility. The Accu-Crimp® utilizes interchangeable Crimping Dies that are both affordable and available for most all common applications. Simplicity in design makes changeover from one Die Set to another fast and easy, requiring only seconds to complete. As with all Carpenter Equipment the Model 62A comes with a durable Powder Coat Finish and 1 Year Limited Warranty. The Model 64 Ferrule Crimper sets a new standard in ergonomic hand crimping tools. This new crimper effortlessly crimps insulated and non-insulated ferrules up to a maximum length of .709" (18mm). 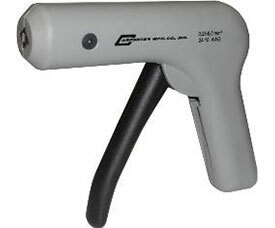 This unit's unique design enables the ferrule to be loaded in the front of the tool making it possible to install and crimp ferrules on wires that have a very short breakout length. The Model 64 ensures tight quality crimps due to it's patent pending crimp technology. As with all Carpenter equipment the Model 64 come standard with a 1 year limited warranty. The Model 25F is a Rotary Wire Twister designed to quickly restores a Twist to Stripped Stranded Conductors from 13 to 24 AWG (1.9mm to .5mm). 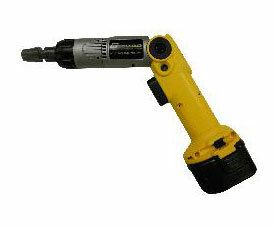 This unit is Fast and Easy to use, simply insert the Stripped Wire into the rotating Guide Sleeve and withdraw. Twist lengths from .250” to 1.00” (6.3mm - 25mm) are controlled using Guide Spacers which are located inside the Guide Sleeve. The Model 25F also has the capability to Twist two Stripped Hookup Wires together Neatly and Efficiently. Every machine comes with a durable Powder Coat Finish and 1 Year Limited Warranty. Please Note: The Model 25F is only designed to provide a twist to an end stripped wire. It is not designed to make twisted wire pairs! The New Model 80 Single Bowl Coiling System is designed to neatly coil long lengths of wire and cable. When interfaced with Carpenter's wire processing equipment the Model 80 automatically starts and stops providing a precisely wound wire coil. 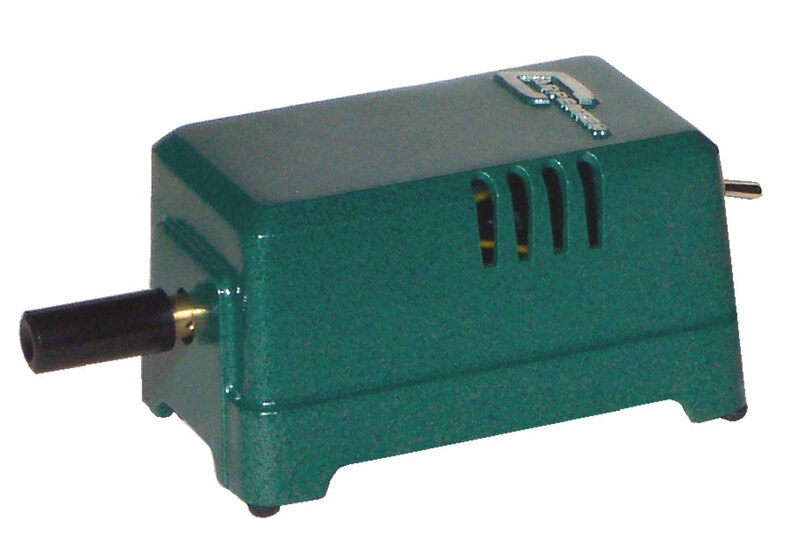 This New unit utilizes a simple electronic control that manages Bowl Speed, Discharge Spin Time and Restart Dwell. 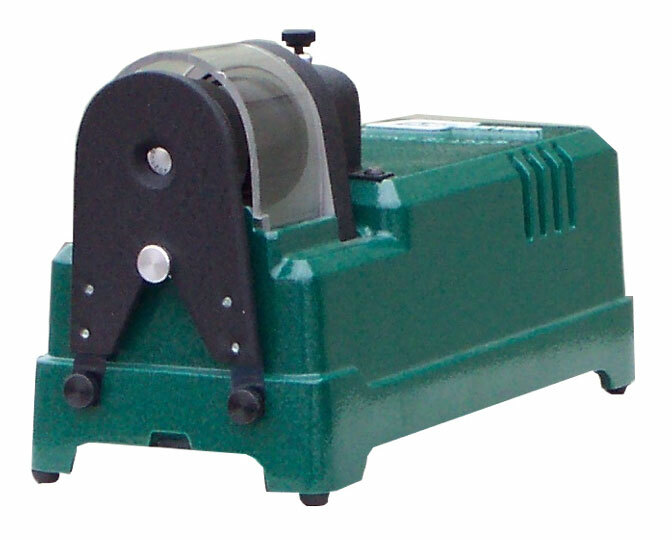 The Model 80 can be equipped with an optional Foot Switch that will produce and count a single coil with each press. There are also two optional coil rings for making smaller and larger size coils. The Model 80 provides a fast and efficient solution when dealing with long wire lengths. As with all Carpenter equipment the Model 80 has a limited 1 year warranty, a durable powder coat finish and is proudly manufacture by Carpenter in the USA.